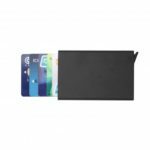 This RFID Blocking Sleeve Bank Card Holder is a great item to protect yourself from payment fraud and identity theft and stop accidentally payments from your credit card when using Oyster card machines payment machines. 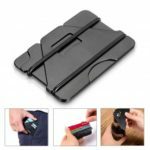 Fits any credit or debit card, and can be placed inside your wallet. 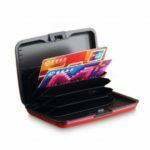 Security protector for bank cards or credit cards, stopping phone scan attacks. It also stop accidentally payments from your credit card when using Oyster card machines payment machines. 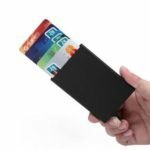 Fits any credit or debit card, and can be placed inside your wallet. Crafted with special RFID blocking material.